The North Star State has been rather slow when it comes to gambling law in comparison to other regions within America. They only introduced a legal form of gambling in 1945 to provide citizens with the opportunity to play bingo. Since there have been many attempts to add to more gambling opportunities, but most of these ended up being a long-term battle. Therefore, gambling law in the state is rather limited in comparison, which could actually be seen as an advantage for poker fans in Minnesota. As with most American states, Minnesota’s gambling law could indicate that online poker is illegal and legal at the same time, it all depends on the section you’re looking at. However, nowhere do they address online poker directly and no player has been charged for playing online. On the one side, online poker would be considered illegal as the state hasn’t legalized the option. On the other hand, it could be considered legal as they don’t say that it’s against the law to play online poker either. To address the above information and questions you may have, the page below takes a closer look at what online poker opportunities are available to citizens of Minnesota. We don’t just look at the law, but also address the poker features and promotions available at the best international sites. We also include an FAQ section at the end, giving you even more details about the best features online poker sites in Minnesota has to offer. Even though the federal law seized many international online poker site domains in 2011, you still have a large selection to choose from, especially with international poker sites. We have selected 5 of the most promising and professional online poker sites that cater to the states and accept players from Minnesota. These sites make it easy to gain access to a large variety of poker games and give you the opportunity to accept bonuses and play in tournaments among other games with American dollars! Since these online poker sites are always changing and introducing the latest features when it comes to promotions, we recommend visiting the establishment directly and gaining access to the latest information and benefits. Is it Legal to Play Poker Online in Minnesota? Is Online Poker Safe in Minnesota? Are Poker Tournaments in Minnesota available to online Poker players? Do poker sites for Minnesota reward comp points? 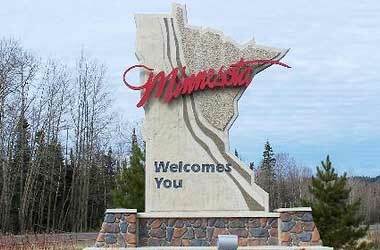 Do new online Poker players in Minnesota qualify for bonuses? Even though it is not quite clear whether online poker is legal in the state, there is no denying the great benefits that these sites introduce. As some of you may know, each poker player is different and requires a unique set of opportunities to really make the best of the game. Luckily, these online poker sites deliver an excellent range of features that cater to all players from around the world. For some, the game selection is the most important as they enjoy many different variations of poker and would like to gain access to multiple tournaments and cash games. International online poker sites cover all the gaming needs you could possibly have an even introduce new and exciting types of poker. Furthermore, these games are available in tournaments that all played 24 hours a day and deliver cash games that you can join whenever you want. These poker benefits are available to all international players who join the sites, including those who have registered for accounts from Minnesota. All you need to do is choose one of our top 5 poker sites and create your account to gain access to the above benefits and many others. As soon as you join an international online poker site, many different benefits are sure to stand out from the very beginning, including the large variety of different poker games available. Sure, online poker sites also provide the basic Texas Hold’em games as seen with most land-based poker venues, but you’ll also discover multiplayer variations of Omaha and Stud poker. If you want a variety of betting options that don’t only meet VIP or professional standard, but also that of beginners and intermediate players. Once again, online poker sites come with just about every betting option you could possibly desire as they cater to players from around the world. Therefore, you don’t have to settle for a game that has a buy-in that is too high or a part that is too small for your needs. Instead, you can choose from tournaments and cash games from just $0.01/$0.02 through to bigger tables such as $10.00/$20.00 all the way up to hundreds and even thousands for those seeking huge winning opportunities. These gaming options are available at any of the top 5 online poker sites for Minnesota we’ve presented above. They offer excellent opportunities, betting values and game varieties that are sure to keep all your poker desires satisfied. Since international poker sites are the only option for players in Minnesota, you will find that they operate under licenses from other countries. Of course, there are many different countries that regulate online poker sites, but only a few are trusted and enforce strict rules and regulations to keep players safe while also offering a fair and trustworthy gaming experience. The most recommended licensing establishments include Malta and Kahnawake, which has become a popular choice for sites offering online poker to American states. These establishments are also involved with the sites we recommend above, allowing you the best possible opportunities, security and gaming fairness for all online poker avenues you’d like to explore. The state of Minnesota has not directly address online poker or even online gambling for that matter. However, they do provide information regarding “bets”, which could, of course, include all forms of online gambling and poker. However, since that doesn’t directly address whether online poker is legal, it leaves a grey area that can be used to play online for the time being. The federal law has however taken drastic steps to limit the amount of online gambling available by seizing multiple domains. This has even happened to many online poker sites, but they simply choose another domain and continue to cater to players. Sure, this has applied limits to opportunities, but each of the top 5 sites we mention has managed to stay one step ahead and give you the best possible gaming opportunities. Even with the above information regarding whether online poker is legal or not, you will find international poker establishments have to follow certain rules when it comes to player safety and security. This also addresses the software they use to ensure your information remains completely private at all times. As with the testing of fairness, these licensing establishments also perform these tests to ensure the latest firewalls, encryption software and other security measures are in place at all times. Should the sites not meet the standards, they can either tough penalties or even lose their license. The above information is all about whether you can play online poker in Minnesota, but many of you might be wondering about the specific opportunities the sites have to offer. Therefore, the FAQ section below focuses more on the games and features available. Tournaments are by far the most popular for online poker players, which is why it has become a “must have” for all international sites. These run 24 hours a day and are available to all members of the site. There are many different rate reward opportunities with online poker sites, including comp points that add up each time you play poker or make deposits. As with tournaments, these rewards are also made available to everyone. With random number generators, it’s impossible for anyone to predict the results of a poker game at online sites. The software is regularly rested, and the sites have to ensure random rewards are given at all time. Becoming a member of an international poker site is very exciting as they usually introduce you to the platform with a lucrative bonus that can either give you free cash, free gaming or reward you in one of many other ways to enhance your experience from the very beginning. Even if you do not have any experience with poker, joining an online site is sure to give you the opportunities you desire. They have guides, games, tours and much more to help you learn about poker and how it works. These are available to everyone and completely free.